We are HUGE fans of the Olympic Games! I feel inspired every time I watch the athletes compete and learn their stories. 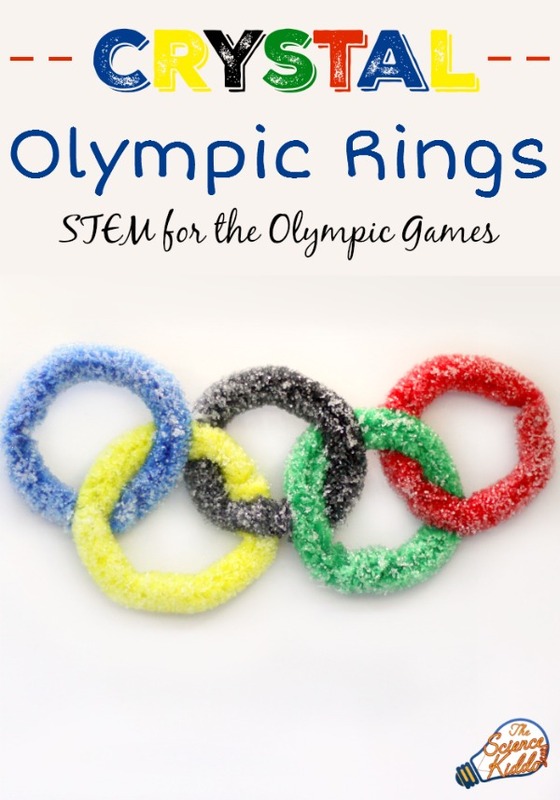 To show our Olympic pride and enthusiasm we made some crystal Olympic rings for kids to hang in our window. 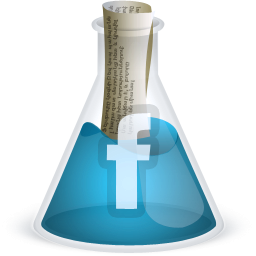 Borax – This is an inexpensive ingredient used in many of our science experiments. You can find it either online or at the grocery store in the laundry aisle. 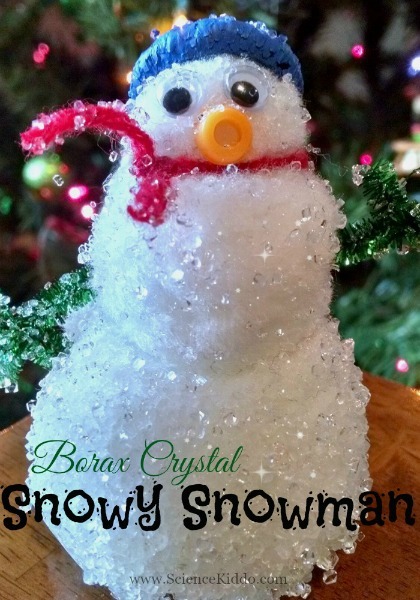 Use the leftovers to make slime or a borax crystal snowman. Trim the pipe cleaners so that each one is 5-6 inches long. Using the picture above for reference, shape each pipe cleaner into a circle and loop them through each other in the following order: blue, yellow, black, green, red. 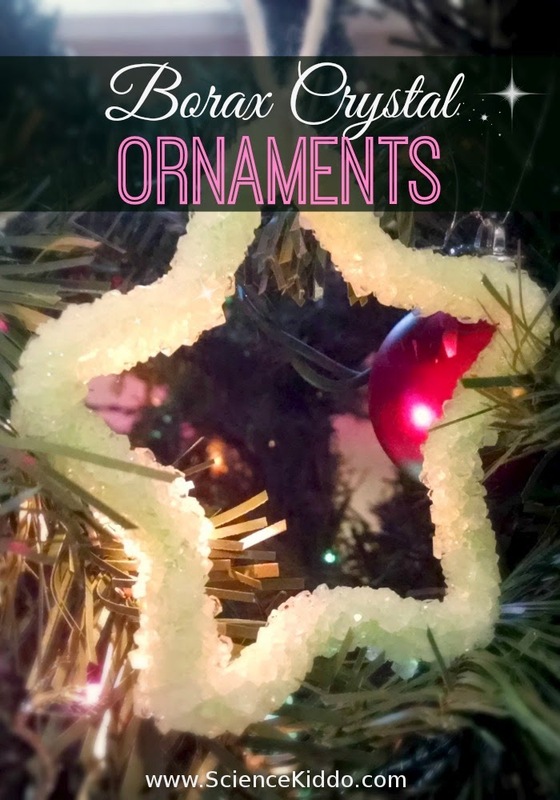 Use a glue gun to attach the rings together at each point they overlap. 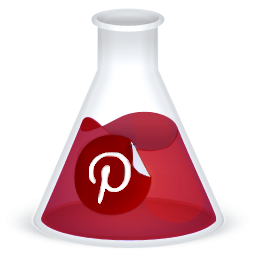 Fill your jar or vase with boiling water. Add 3-4 Tablespoons of borax per cup of water and stir. It’s okay if some borax settles on the bottom of your container. 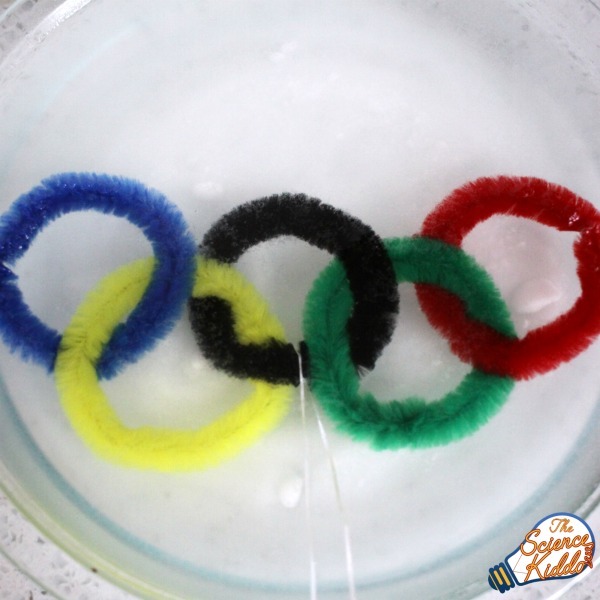 Lower your Olympic rings into the hot water/borax mixture. Make sure they are not touching the sides or the bottom of your container, and that you can get them through the mouth of your container easily. Make sure your jar is in a quiet place where it won’t be disturbed. While the crystals are growing you don’t want it to get bumped. After a couple of hours you will start to see crystals growing! Leave your mixture overnight for best results. 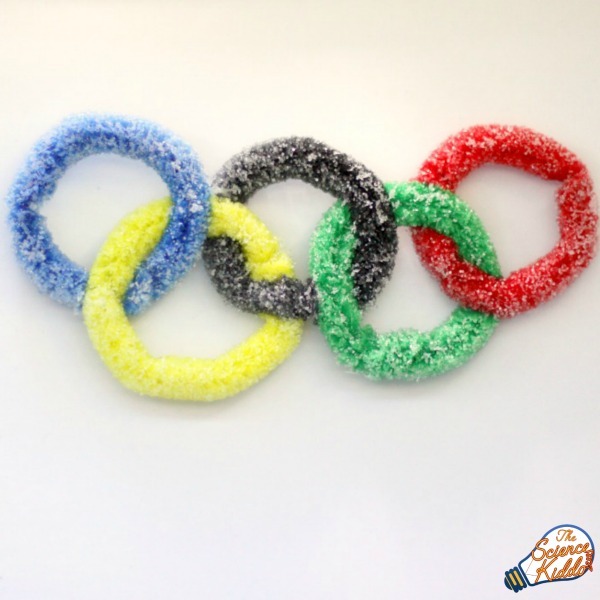 Let your borax crystal Olympic rings dry on a paper towel for an hour or so. When dry, pick them up and admire them in the sunlight. You will want to grab a magnifying glass to observe them more closely! 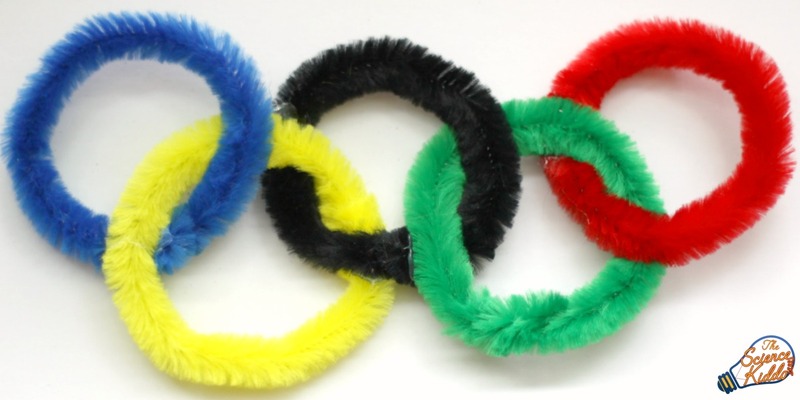 Hang your crystal Olympic rings in the window or display them elsewhere to show your Olympic spirit! Click on the button below to easily download and print these instructions. These crystal Olympic rings are gorgeous as they hang in the window and reflect the sunlight! … The six colors [including the flag’s white background] combined in this way reproduce the colors of every country without exception. The blue and yellow of Sweden, the blue and white of Greece, the tri-colors of France, England, America, Germany, Belgium, Italy, and Hungary, and the yellow and red of Spain, are placed together with the innovations of Brazil or Australia, with old Japan, and with new China. Here is truly an international symbol. thank you so much …i am in my last stages before beginning a 2 week program with the kids of the soup kitchen in Niagara Falls, NY. 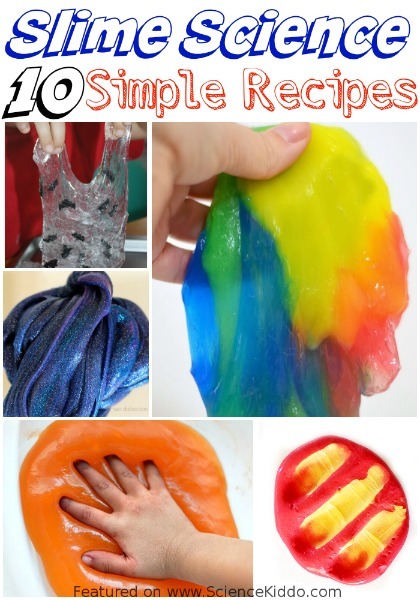 The theme this year is the senses and i’ve been planning all year, looking for cool activities that fit the theme, and can be used in a small group setting in centers…10-12 min. intervals….i am pleased to have come across your website…better late than never… and hopefully will be able to draw from the wealth of activities you present. any ideas or suggestions will be GREATLY appreciated.